Scott Weiland is spending much of this fall finishing up a new album with his band, the Wildabouts, but in-between recording session, he’s playing a handful of shows. 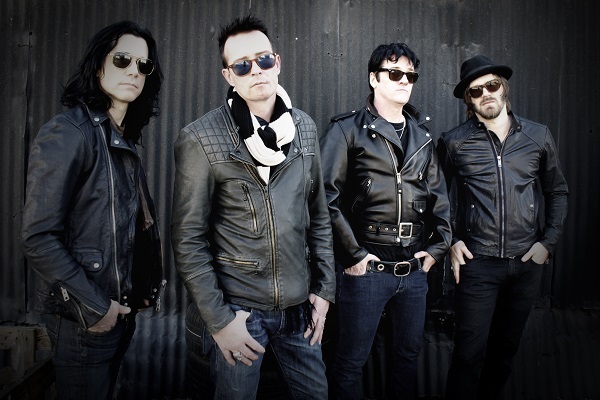 Head to a show featuring Weiland and the Wildabouts, and you’ll get treated to an evening of music from his solo career and his former bands, Stone Temple Pilots and Velvet Revolver. Stone Temple Pilots came up in the ‘90s grunge and post-grunge climate. Weiland says there was a cool scene back then, and he doesn’t there’s anything like that right now. “There really hasn’t been a musical movement since that time in rock ‘n’ roll, and I’m not sure why that is, really,” Weiland told Audio Ink Radio. “I think there has to be synergy to have that happen and the political social environment has to be right and that generation has to be interested in a certain type of music that speaks out a lot of those ideas. There has to be an organic connection between the fans and the music that’s coming out. Weiland added that back then, everything came together, musically, for Generation X.